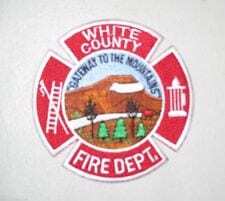 CLEVELAND, Ga. — Late Thursday evening around 11:30, firefighters from White County, City of Cleveland and Lee Arrendale, were dispatched to a residential fire on Water Cress Rd on the west side of White County. Upon arrival, firefighters found a 12 x 16 storage building with a 6 x 16 porch fully involved. The home owners were home at the time of the fire and called 9-1-1. Although the shed was approximately 25 feet from the residence, it did not extend to the main home. However, two vehicles sustained front end damage from the extensive heat. White County Fire Investigator is currently investigating the cause of the fire. The Red Cross was not called and no injuries were reported. Firefighters were on scene for 2 hours.